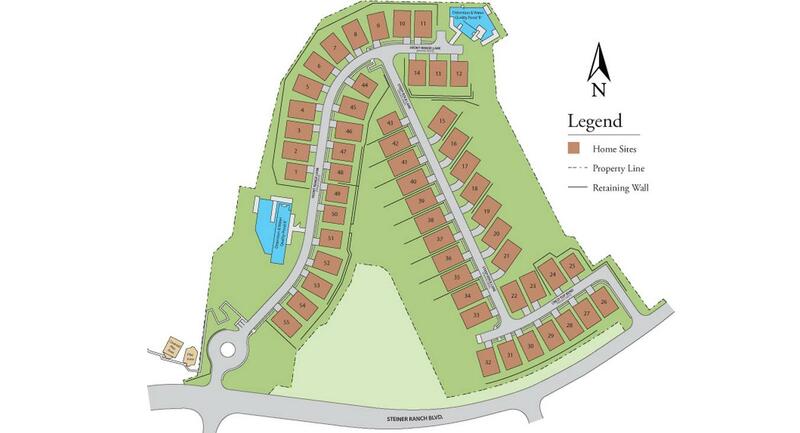 Lakeview at Steiner Ranch Home Sales Begin on January 24, 2014! What Are The Best Homesites in Lakeview at Steiner Ranch? To be among the first to purchase in Lakeview at Steiner Ranch, Taylor Morrison has established a three-tier format that rewards the most qualified buyers with the best access to available home sites. On January 24, 2014 at 2pm, buyers that are willing to put down 100% of the base price (excluding options and upgrades) in cash can have their pick from any of the available 55 lots. On January 25, 2014 at 10am, buyers that are willing to put 20% down on the base price of a home to-be-built can choose from any of the remaining lots that didn’t sell on the previous day. On January 26, 2014 at 12pm and from that point until sales are completed, buyers that are willing to put 10% down on the base price of a home can make a selection from any of the other home sites that didn’t sell during the previous two sales periods. This is a very unique and new method of selling home sites that we’ve seen in Austin, and is a giant testament to how strong home sales are in Austin right now. The builder feels that demand will be substantial enough that they can reward all-cash buyers with their pick of the litter. This is a smart move by the builder, because they can then use these sales toward appraisal valuations. Since they were all-cash, they can be fairly certain that these sales will set the bar for the future sales in this new phase of Steiner Ranch. If you would like to learn more about Lakeview at Steiner Ranch, call us today. We are here to help you with choosing the best lot possible, in selecting the best bang-for-your-buck upgrades and which ones to avoid, and by representing your best interests all the way through the home buying process. We have helped many buyers of new homes in the greater Austin area, and we are residents of Steiner Ranch so we know this community explicitly. Contact us today so we can discuss a winning strategy before the sales begin! Joseph Ensor is an Austin Realtor and the co-founder of ENSOR Real Estate Group. In addition to representing select clients, he works closely with each of his team members to help them build a successful career in selling Austin real estate. As a graduate from Arizona State University with a degree in Finance, he enjoys helping his clients and his team members with the mathematical side of each transaction. With over 18 years of experience in real estate investing and sales, he understands the overall complexities involved in a real estate transaction. He uses his expertise to overcome challenging situations and his objective is to work diligently and intelligently toward a positive outcome for his team and for his clients. We SOLD 12113 Montclair Bend, Austin TX 78732! We SOLD 333 El Socorro Lane, Austin, TX 78732! Austin MLS FAQ: What Do The Property Status Abbreviations Mean? Why is Cold Springs a Hot Neighborhood in Leander TX?